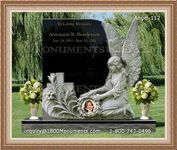 When choosing cemetery decorations, it is important to consider features that will serve to celebrate and commemorate the life of the deceased. Placing gifts such as flowers on the site can further aid in the creation of a memorium for those who are no longer with us. There are a number of long lasting options available. When decorating a plot, it is important to consider the features that will aid in celebrating the memory of the deceased while respecting the grave sites of other people. The first step is to determine the regulations as established by the cemetery. This will aid in choosing the types of items that can used to improve the plot. 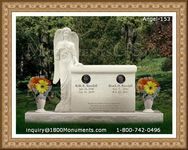 Flowers can be laid near the grave that remains one of the most popular choices. Fresh blooms can deliver great beauty, but will not last against the sun and the cold. Many deceased members may have enjoyed a particular type of plant that can be included in a wire and plastic that will last against the elements. 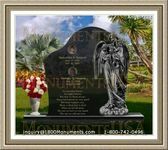 It is necessary to consider whether you wish to place ornamentals on or close to a grave site. This means that bird feeders, wreaths, and similar features can be used to decorate the area. Baskets and laminated pictures in sturdy frames can be purchased to best decorate and enhance the area. 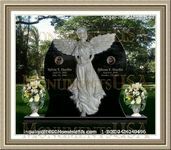 A spiritual maker can be used in order to represent the memory of a deceased member. There is the option to have these features fully customized for the best possible outcome. Care should be taken to select the most appropriate solutions for individual needs. Time should be taken to determine the features that are are best representative of the memory of those who have passed on. A fair amount of time should be considered when selecting decorations and the meaning the it can provide for the long term. These measures can aid in selecting the best possible gifts.